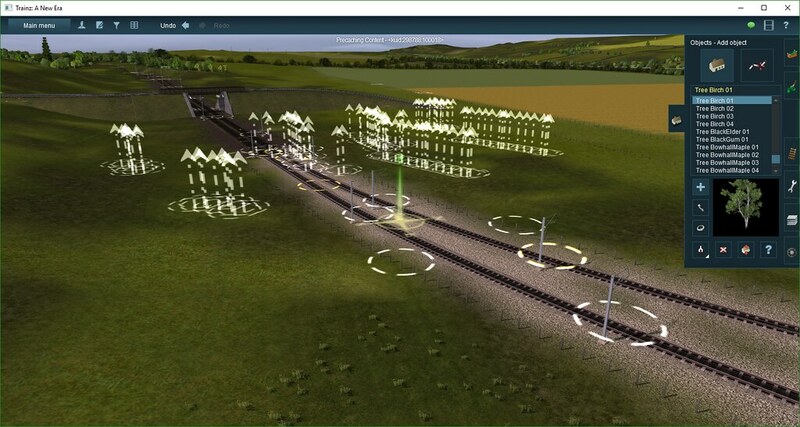 In an effort to get the test track working properly, I followed the advice given on the N3V forum and installed the beta HF for TANE and since doing so, I've encountered a few issues, most annoyingly this one every time I load Midshire. 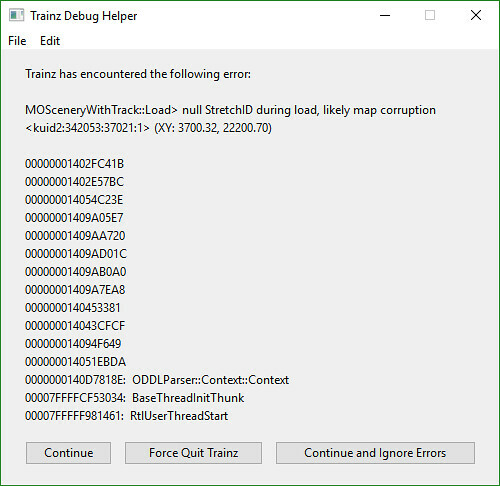 Is there anyway to clear this error? I can continue or ignore the errors and everything appears to run okay but I imagine when it comes to uploading, content manager could reject it. The other annoying problem is as displayed below. I added a couple of FMA bridge objects but later removed these. For reasons unknown, the attachments points are still present (only in surveyor) and I can attache splines to them but not select the object to delete it. Any ideas at all? I'm plagued by the second problem you're reporting too, Innis. I have loads of splines of some description (I've narrowed it down to either a tree spline or a hedgerow spline I think, not 100% sure) that are behaving exactly as you describe in my Aylesbury - Marylebone route. I had similar troubles with virtually all of my splines to start with - post SP3 - but, as I explained in a previous post, I managed to cure the problems with most of them. I've only got SP3 itself and no betas of any kind so I think the problem HAS to be with SP3 itself. The only thing I've been able to do is hide the spline points within other tree or hedgerow splines because, as you say, they cannot be deleted. When I first experienced the problem, I clicked on one of the mystery splines to try and find out what it might be and it actually reported back that it was some kind of invisible road spline. I tried to find said invisible road and CM insisted that there was no such thing (and I'm not in the habit of putting invisible roads round the edges of housing estates and farmers fields anyway.) However, I've not been able to reproduce that trick since. I've also got a small problem with what I assume is corrupted DEM data in one area (or at least I've only found one area as yet - and I've searched end to end now.) The ground height was perfect before SP3 but is has now been distorted somehow and seems to have been raised or skewed or something in one particular area. It's very obvious because it's on the edge of a housing estate next to the railway and it's been a swine so far to try and correct it because it's variable height landscaping in that area anyway. To be honest, I've turned my back on it for the last week because the whole bullsh*t problem has drained my enthusiasm again. I really want to crack on and get this route finished but my patience has been tried to the limit recently. If you find a cure, Innis, be sure and give me a shout. Will do Dave. Hopefully the public release will solve the problem. If not, I'm stumped. I've had the first issue on numerous occasions - even before the latest beta. I think it's a TANE thing in general. It's very inconsistent. Some days it does it - and on other days, it doesn't. I posted the same query on the N3V forum and apparently it's a known issue and to submit a bug report when it occurs which I'll gladly do as it happens every time I open the route.